WhiteDune is a complete free (GPL) solution for VRML/X3D scenery creation. 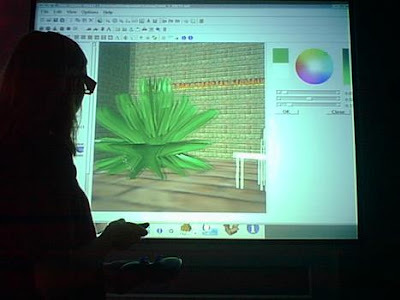 It is widely known between the people that are using VRML since the beginning. 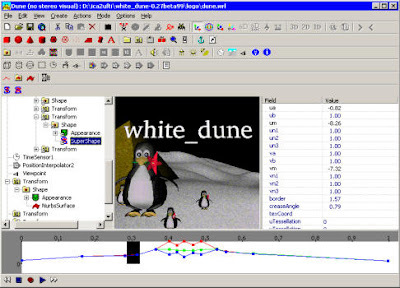 This software is based on "Dune", a portable VRML editor written by Stephen F. White. Joerg Scheurich fixed many bugs, added virtual reality hardware support, many documents in English and German, and recently, he added partial X3DV export and import. The list of improvements he did is too long to mention. This way, Joerg Scheurich took the application to another level, making it more full-featured, more powerful and user-friendly, making of WhiteDune one of the most popular software for VRML (and now for X3D). It is possible to model with it, but its best use is to animate, merge and manipulate scenes, adjust values, etc. in 3d scenes from inside. I've used it many times, for example, to make an elevationGrid or coloring a model easily, apply textures, etc. It has become one of the main tools that I use for worldbuilding. Think in it as a versatile and quick tool to assemble scenes and manipulate them in a visual way. It can also make interpolations and many things, and works on Linux, Windows, and Mac. As it has Virtual Reality features, with the proper software and hardware, it can be also an immersive VRML editor with support for stereoscopic view and support for 3D inputdevices. It has a good support for X3D in vrml classic encoding (.x3dv). This area is in development, but I have tested it, and the files generated run without errors in Xj3D. You can also load a VRML world and then export it as X3DV, as a quick way to convert scenes. It has also a menu to insert many of the X3D nodes directly in the scene. One of its most interesting features is the ROUTEs explorer, that can display the nodes in a tree view. It has a preview window in which you can move inside the virtual world while you edit it. The ROUTE map feature along with the animation editor make of WhiteDune a very good tool for making animations in virtual worlds. 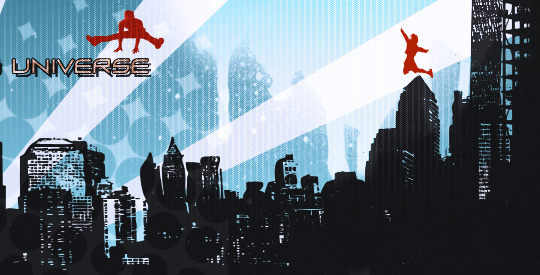 If you like WhiteDune, save this button image, upload it to your site, and use it as a button to link to WhiteDune. After 350-029, many professionals decide upon 70-648 and in this context move on 1z0-042. Those who plan on 642-552 instead start preparing for 642-892 instead.